It’s hard to imagine that a 40-year old born in Dagenham, England would teach this Singaporean writer more than he ever knew about his own country. Neil Humphreys’ Saving a Sexier Island: Notes from an Old Singapore is the gangly (and self-admittedly hairy) angmoh’s fifth book about the country he first set foot on in 1996, and it tactfully encompasses what it means to call this equatorial melting pot home. To be fair, tact is a word he probably doesn’t associate himself too often with. UrbanWire caught up with Neil back in March where he told us of his uncanny ability to dodge trouble with “the people upstairs”, and he uses that to his advantage quite unsparingly. Saving a Sexier Island tells the story of Neil’s journey to find 50 places in le ol’ red dot that are worth preserving, or at the very least a visit. It brims with comical anecdotes from his slightly awkward English childhood and Aussie experiences, and it reads in a pleasing narrative rather than a conventional list of places to go. Written in the same brash, witty and satirical style his followers are all too familiar with, it still is, in this writer’s opinion, the most appropriate and refreshing gift to our nation’s birthday celebrations this year yet. The book’s front cover shows a happy Neil standing next to a pixel shaped red head of an animal. 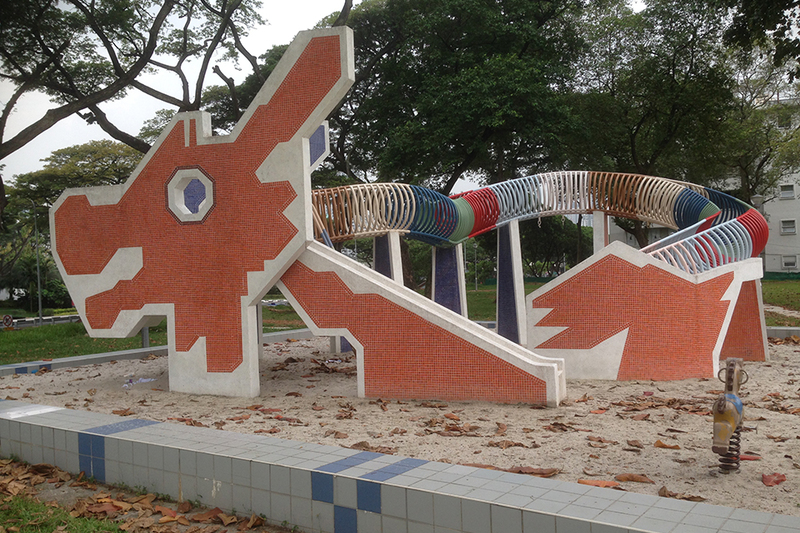 It is Toa Payoh Lorong 6’s infamous dragon playground – the first in half a century of places you wouldn’t expect to be placed in this list. 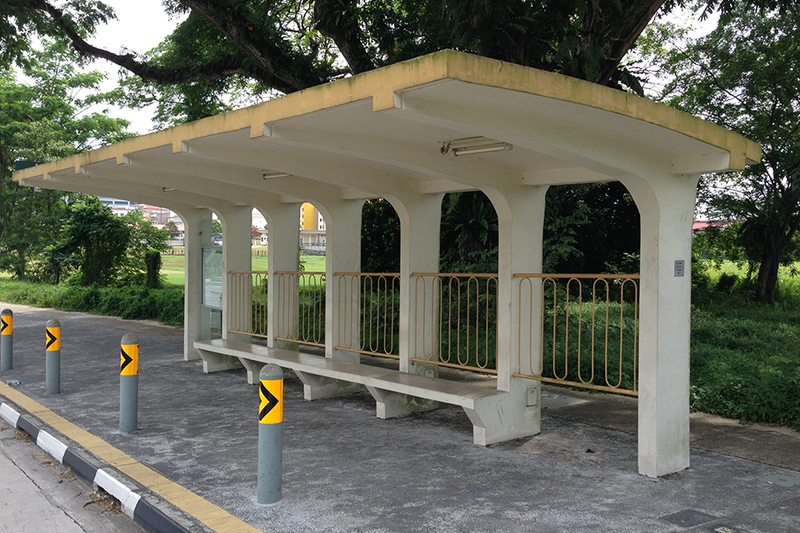 If you don’t believe us, coming in at number 4 is Sweetlands Bakery, and 30 spots later: “Old Choa Chu Kang Bus Stops”. Bus stops, bakeries and playgrounds (albeit less-memorably designed) make up a decent portion of this writer’s childhood, and these places are almost never portrayed as part of the glamorous façade that is Asia’s Monte Carlo. Yet, these are the kind of places where memories are formed, and individual histories constructed. That is the point Neil is trying to make. The roads less foreign-travelled are usually the ones that are all the more worth saving, lest we forget who we really are. He mentions in one of the closing chapters that he usually forgets his own skin colour when meeting other Singaporeans for the first time. Sadly, it’s hard to say the same vice versa when you’re looking right at him – the common assumption being that the abnormally tall white man is a tourist. But the sad irony, it would seem, is that this supposed foreigner cares so much about our country that he writes a book to try and rally the rest of us to care as much. Here’s a proposition: Add Neil’s book to our list of Social Studies texts. It’ll provide adequate critical interpretations of our country’s heritage to the idealistic, yet somewhat negligent Singaporean youths of today… and probably improve their English by an extensive margin, too. Tell us “Where is your favourite place in Singapore and why?” in the comments below and stand a chance to win a copy of Saving a Sexier Island! More details on the contest here.